Federal Housing Administration (FHA) debt-to-income guidelines clearly state the maximum ratios acceptable to receive an FHA loan guarantee, but are not the only factors involved with getting approved. FHA debt to income guidelines are the minimum requirements for comparing the recurring obligations and gross income of a borrower during the qualifying process for a mortgage. The relationship between your recurring expenses and gross income is expressed either as mortgage payment expense (home ownership expense only) to gross income ratio or total fixed payment (all recurring expenses plus mortgage payment expense) to gross income ratio. The FHA ratio for mortgage payment expense in relation to gross income is 31% while FHA ratio for total fixed payment in relation to gross income is 43%. This ratio is known as FHA permissible qualifying ratio. What Mortgage Amount Do I Qualify For? FHA-approved lenders follow these guidelines when qualifying you for an FHA-sponsored mortgage loan. It is always important to ensure that you have enough gross income to pay off both your recurring monthly bills and home ownership expenses. Mortgage Payment Expense to Effective Income Ratio: This ratio focuses only on your mortgage payment expense in relation to your gross income. The FHA guidelines recommend a qualifying ratio of 31 percent for your total mortgage payment expense to effective income. The FHA sets a higher ratio of 33 percent if your home qualifies under the Energy Efficient Homes (EEH) program. Total Fixed Payment to Effective Income Ratio: This ratio focuses on your total debt obligations, that is, the sum of your mortgage payment expense plus all your recurring monthly expenses, in relation to your gross income. The FHA recommends a qualifying ratio of 43 percent for your total fixed payment (generally your total debt obligations) to your effective income. FHA similarly sets a higher qualifying ratio of 45 percent if you are subscribed to the EEH program. According to the FHA Debt to Income Guidelines, your total mortgage payment expense should comprise of: "principal and interest, escrow deposits for real estate taxes, hazard insurance, mortgage insurance premium, home owners' association dues, ground rent, special assessments, and payments for any acceptable secondary financing." You can alternatively use online calculators to determine your debt to income ratio. Notably, whereas the debts that you expect to pay off in less than ten months were previously exempted, FHA revised this provision. Beginning April 2012, if you have any pending disputes with your creditors over debt amounts exceeding $1,000, then you will be ineligible for FHA-sponsored loans, even if you meet the credit score requirements. The other important requirements of FHA's debt to income guidelines concern your real estate taxes and compensating factors. FHA's guidelines expect you to observe accuracy when estimating your monthly property tax escrows. With regards to new construction, the FHA guidelines expect you base your property tax estimations on both the value of the land and any other additional improvements on the land. If you demonstrate the ability to pay housing expenses that equal or exceed the housing expenses contained in your proposed debt to income ratio, as evidenced by your income and spending trends for the last one to two years. If you have an abundance of assets or otherwise have the ability to pay off the home. If you exceed a recommended property purchase down payment by more than 10 percent. If you show evidence from previous credit history of the ability to commit a greater portion of your income toward servicing housing expenses. If you demonstrate the ability to accumulate and manage savings exceptionally. 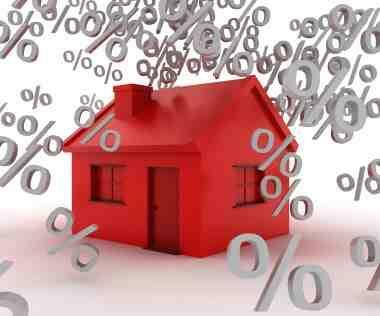 In the event that your debt to income ratio exceeds FHA's recommended limits, do not panic. Reduce your overall monthly recurring expenses by paying off your credit cards. Settle some of your pending recurring monthly expenses early to eliminate them from your debt to income ratio calculations. You can also cancel some of your recurring expenses through debt consolidation. This is particularly reasonable if you are a home owner with a good credit rating or with considerable home equity because you can refinance for purposes of debt consolidation.